I was asked yesterday about my gratitude posts and where those come from. It’s easy – when you have been at the sheer bottom of life you wonder what you did to deserve all the crap that comes your way. But you know what, it is just the way we look at situations. Every morning before I get out of bed I say, – I love you. Sounds cheesy, I know. But if I don’t love myself, who will? You have to love yourself first before you can ask a partner to love you. I also say – I forgive you for…. because I make a lot of mistakes and am always harder on myself than anyone else could ever possibly be. Every night right before I fall asleep I think about the day and say thank you to The Universe for the blessings I received. On good days, those thoughts are easy and the gratitude flows. On bad days, it is very difficult and I have to be grateful that I can walk again or even feel pain because that means I am alive. Right now I am thankful for amazing friends in San Francisco and around the world who have welcomed me into their homes and into their hearts. I’m grateful for a man whom I adore. I’m grateful for a family who checks in to see how I am. I’m grateful to those that read my posts and send me good thoughts and energy. I’m grateful to be following my own path in life and honoring my spirit as tough as that is some days. Being a wanderer, an adventurer, and having an empathetic soul are my blessings. For today, I am grateful for all the good things that I am and forgive those attributes of mine that are less than stellar. This is what I started out with… just wrote down each good moment when they happened throughout the day. Today on 4/29/14 I am grateful to be writing from the coast of California and allowing my words to impact others. I’m grateful to have a safe place to stay. 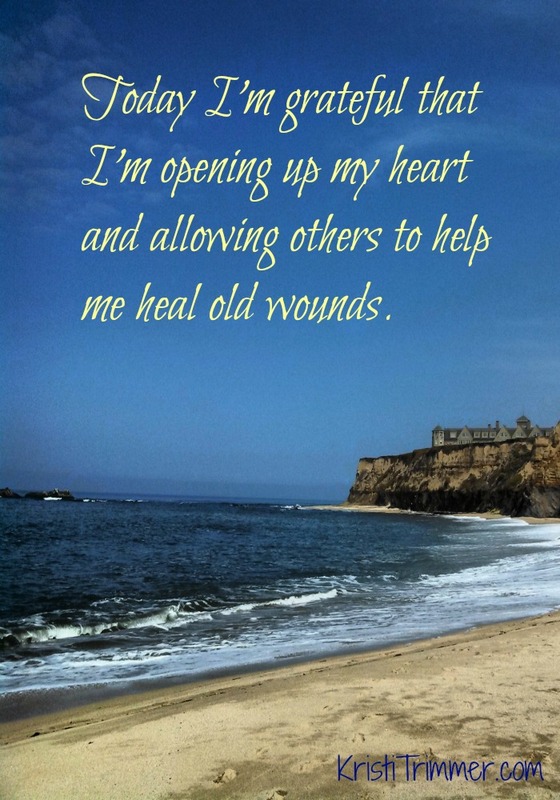 I’m grateful that I’m opening up my heart and allowing others to help me heal old wounds.